10 LITRE FRENCH PETROL CAN. 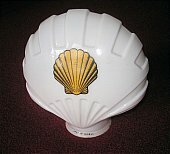 SET OF 5 SHELL CRATED GLOBES. 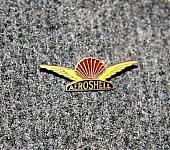 SHELL "Half way round the world". SHELL 2 GALLON CAN PLUS OIL QUART. 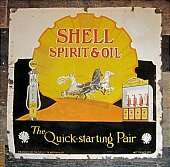 SHELL 6ft x 3ft "FROM THE PUMP". 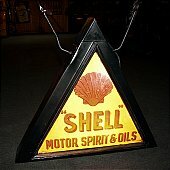 SHELL TRIPLE PINT OIL CAN. 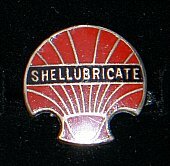 SHELL UPPER CYLINDER LUBRICANT DISPENSER.